Do you like monsters? Really like monsters? Then you need an atlas of them! Fear not, Greg Hyland and The Monster Atlas have you covered. You may know Greg from his work on Munchkin Zombies (Guest Artist Edition), but now you can know him as the person who taught you about the scariest regions of North America. Want to know more about Mothman? Salivating for more Sasquatch trivia? This book gives you monsters broken down by region and medium (like folklore, literature, or film). As someone interested in the gothic horror of America in particular, this is an amazing collection, all enhanced by Greg's awesome art style. It's funded, so the book is happening, but you can get on board now until June 30. 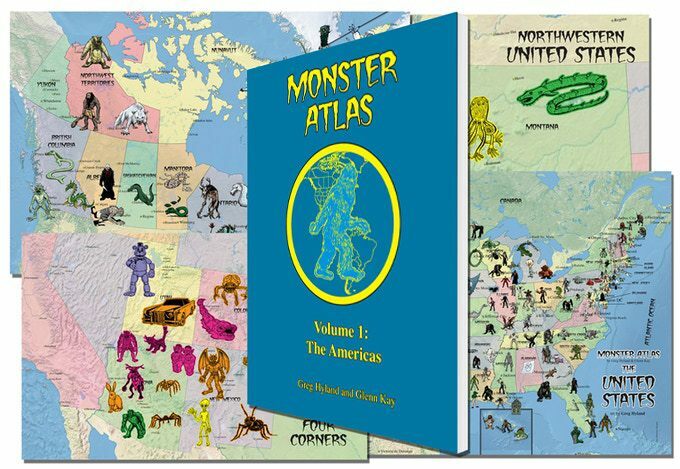 Make sure you back The Monster Atlas today!